Spring has sprung at Meadowlake Ranch and all our venues and activities are warming up. The Dude Ranch, our bed and breakfast cabins, and our weddings are being booked frequently. 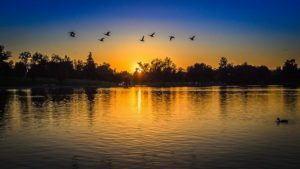 Do not wait much longer to call the Meadowlake Ranch team to experience an exquisite location full of beauty and charm that is located just outside Tulsa. 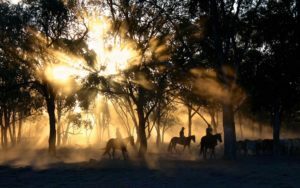 The Dude Ranch is calling all city folk and/or ‘dudes’ to experience being a true cowboy. Our Dude Ranch packages are all-inclusive so all you have to do is be a “dude”. You will stay in your choice of one of our Lakeside Log Cabins, in-ground Bluff Top Cabin or Authentic Indian Tipi. Plus all meals are included along with, lots of trail riding, bank and boat fishing, hiking, horseshoes, and much needed relaxation on one of our hammocks. 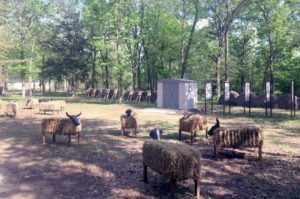 If you like to throw or shoot, we have the perfect set up to experience tomahawk throwing, knife throwing, and various other forms of throwing along with archery. If you desire to shoot something, we shoot BB guns, sling shots and when you’re ready, we will shoot small bore lever action Henry rifles and/or good ol’ fashion six shooters. For conclusion, you will end the day beside a campfire somewhere. We offer several Dude Ranch options, including 7-nite Dude Ranch Vacation (Sunday thru Saturday), 5-nite Weekday Stay (Sunday thru Thursday) and our 2-nite Mini-Dude Getaway (Friday & Saturday). Whichever you choose, Dude Ranch packages are great for being a ‘dude’ or even for family vacations, romantic getaways, and bonding activities. Come and be a dude with us! Our B&B is being booked frequently. At Meadowlake Ranch, we offer 388 acres of shear beauty. We are one of the largest bed and breakfast Oklahoma has to offer, and we are just ten miles west of of Tulsa. 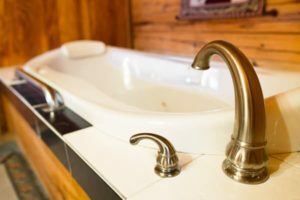 Our bed and breakfast features a king bed with a full kitchen in all of our cabins along with amenities from free WiFi at our lodge, to a jacuzzi within each of the lakeside cabins. 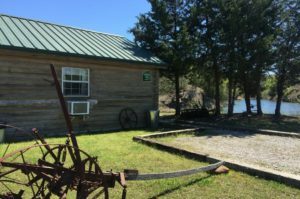 This allows countless hours of exploring the meadows and lakes found at you Oklahoma bed and breakfast. Don’t wait, book now! We still have some remaining dates to fill our 2018 wedding calendar. We specialize in rustic outdoor weddings of all sizes as long as the wedding is outdoors. We offer beautiful scenery, relaxed environment, and natural spring fed lakes that allows for the most romantic weddings. 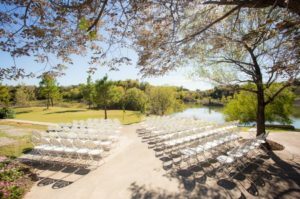 Meadowlake Ranch is a perfect place for your wedding ceremony and reception. Call now to see if your wedding day is available. Do you need a place for your family reunion, birthday party or corporate event? Meadowlake Ranch offers a unique blend of natural beauty with plenty of open space and facilities to house most any function. We also offer lake view patios, the beauty of nature, and many outdoor events. We will do all we can to assist any type of event you desire. Call today to book your event!